What a showdown in Houston. 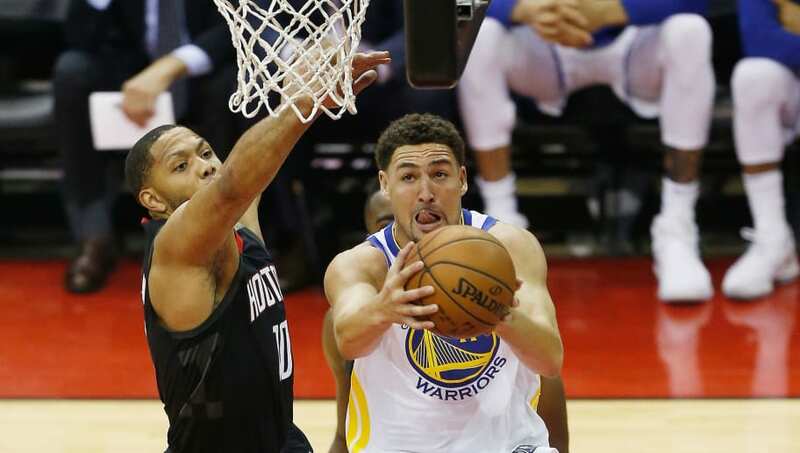 In a highly-anticipated showdown between Golden State and the Rockets on Wednesday night, the Warriors were able to come away with a thrilling 106-104 win. Though Golden State was up for the majority of this one, the Rockets sure did all they could to make things interesting. ​​With 10.8 seconds left, Chris Paul made a close shot and was fouled on the play. He buried his free-throw to cut Houston's deficit to 104-103. Steph Curry, with ice in his veins, then buried his two free-throws when Houston fouled him. With Golden State up 106-103, Houston was hoping to drill a 3-pointer to send this one to overtime. However, the Warriors fouled James Harden before he could get a shot off. Harden made the first, then missed the second one in hopes of an offensive board for a put-back. However, the Warriors came down with it. Ball game. Klay Thompson led the way for Golden State, recording 30 points. DeMarcus Cousins added 27 points, while Steph Curry chipped in with 24. No issues for the reigning champs with Kevin Durant out of action. For Houston, Harden had 29 points and Paul had 24.